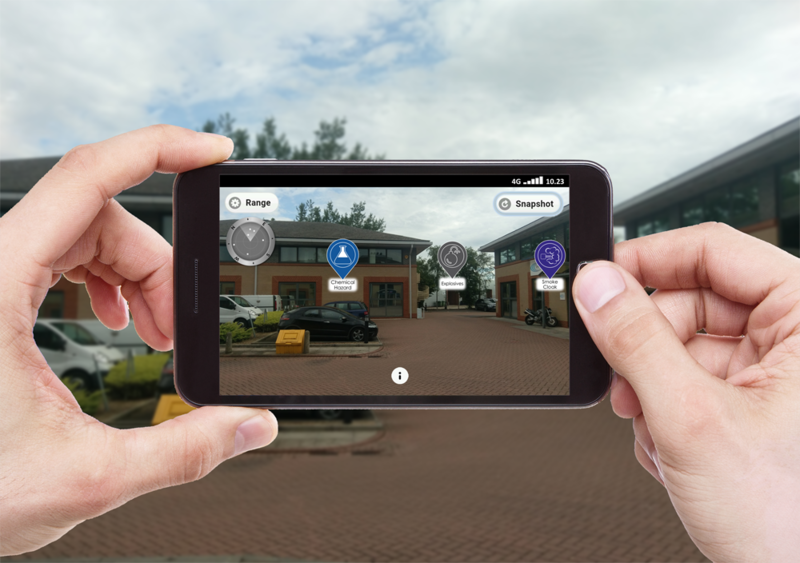 Symphony AR for Emergency Planning allows emergency planning staff within a local authority to view critical locations and spatial boundaries such as areas at risk of flooding as augmented reality. Symphony AR for Emergency Planning has a range of benefits which allow a local authority to harness its data for the application to Emergency Planning situations. On the ground real time access to data relevant to emergency planning. Data can be updated centrally as the incident is happening to give all emergency planning staff the most up to date information possible. This can be any location or boundary such as a muster point or danger zone. 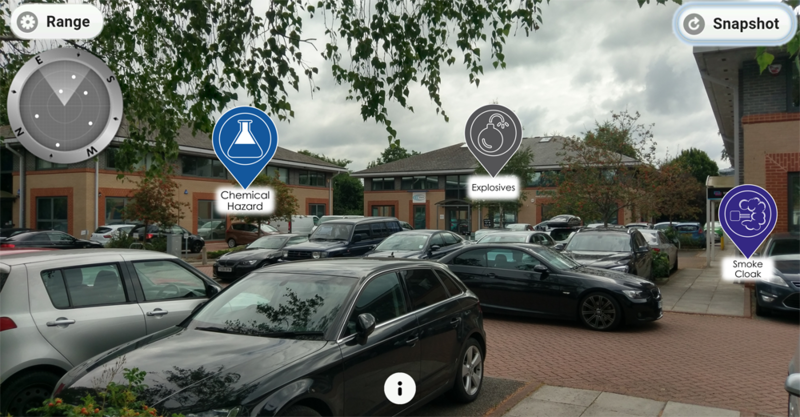 Presents the information in augmented reality to avoid confusion of interpreting a map in the chaos of an emergency. 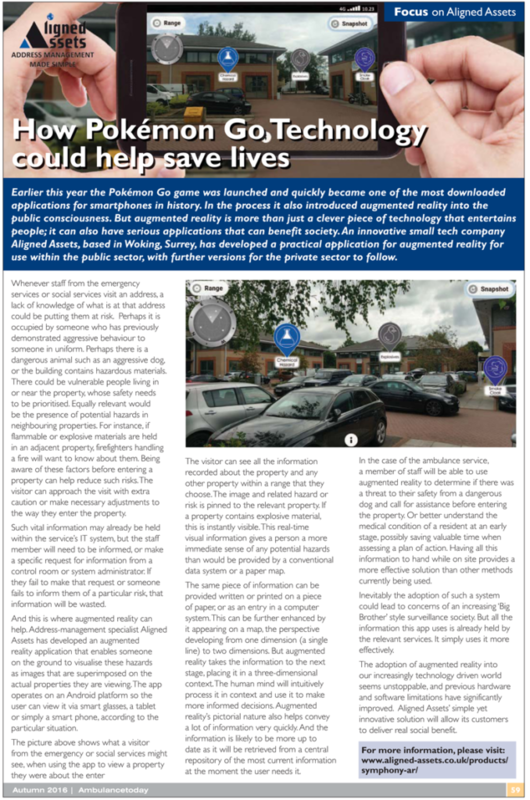 The visualisation given by the augmented reality app can be tweaked by the council without need for expensive third party intervention. Can give a 3d virtual model of a building that can be manipulated by emergency planning staff in situ to give real time understanding of the building’s complexities, capacity, evacuation routes and vulnerabilities. Image recognition can be used to inform staff about hazard symbols they might encounter and take appropriate action. Being spatial boundary aware an emergency planning officer can tell whether they are within an area such as a flood or evacuation zone. Based on your own data negating the need for purchasing extra expensive data. The data can be kept up to date automatically by using Symphony Location Manager which is bundled free with the app. The data shown can be tweaked without the need for expensive third party intervention. The management of mobile devices with access to the data can be managed without the need for expensive third party intervention. No requirement for expensive specialist equipment as it is available to all staff given access to the solution via a mobile phone. Symphony AR has quite a few features which will ensure operational effectiveness of front line staff. The mobile application allows the user to visualise any information associated with a land or property in a traditional 2d map view but also in an enriched user view using Augmented Reality. Ability to automatically load data to be used for emergency planning. Ability to link to an operational database to show data useful for emergency planning. Quick and easy management of mobile devices. Mock location feature to simulate mobile device being placed anywhere in the world. An overview map of the surrounding vicinity and of location intelligence markers. A radar view to show the direction, distance and number of location intelligence markers. A range adjuster to limit the number of location intelligence markers that can be viewed. Category filter to declutter points shown. Drill down features to obtain more detailed information when appropriate. Image recognition to interpret hazard symbols. 3d building model including manipulation to zoom, drag and rotate. The ability to work on any Android device with a recent operating system. This includes smart phone, tablets and smart glasses. Provided as an application for mobile phones or tablets it allows any authorised user to have the most up to date information when planning for or attending an emergency. This will help coordinate their resources with maximum efficiency and speed, without the need for staff to interpret an often incomplete map in the chaos of an emergency. As well as providing information quickly and accurately in a user friendly fashion it will act as a common reference point for staff. Staff can drill into further information about the locations or spatial boundaries with one click. The app will also enable staff to view a 3d model of major complicated infrastructure and buildings. The model can be manipulated by a user in real time to get a perspective from any angle and also the ability to zoom into specific areas or rooms. This can provide a valuable insight into an action plan in the event of a major incident. This can range from identifying an evacuation route for the public to directing first responders to deal with the incident. Symphony AR has been designed to work with all mainstream smartglasses. So whether its hardware from Epson, Vuzix or ODG our application is compatible with them all. Symphony AR works on recent Android Operating Systems and allows you to choose what hardware platform suits your needs best. Whilst smartphone and tablets are likely to be the popular choice, now that the smart glasses technology has significantly evolved since Google Glass days, we fully expect smartglasses to become a practical consideration. If you’ve got a question about Symphony AR for Emergency Planning or would like to get a quote about using the solution within your organisation, contact us using the form in the Find Out More Section below.